Officers of the Security Service of Ukraine (SBU) have blocked activities of organizers of the international financial pyramid Forex Trend Limited, the functioning of which caused millions in losses for citizens of Ukraine and the European Union countries. "The task force discovered that the offenders under the guise of the operation of the international investment company Forex Trend Limited, using previously created websites and supposedly trading platforms, attracted funds of citizens in very large amounts, guaranteeing windfall revenues in the short term," the press center of the SBU said on Tuesday. During the period of vigorous activity, businessmen managed to seize the funds of several thousand citizens of Ukraine and foreigners in the amount of more than UAH 340 million. Financial resources were "removed" by offenders through a chain of companies with signs of dummy companies to companies registered in offshore jurisdictions and private entrepreneurs using cash withdrawals in Ukraine and the European Union. The money laundering was through the purchase of luxury goods both in Ukraine and in the EU countries. 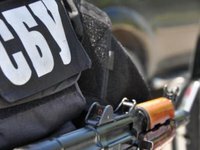 Law enforcement officers conducted a series of raids in the residential premises of the scam participants and their associates in Kyiv, Zaporizhia, Dnipro and Kharkiv region. According to the results of investigative actions, SBU officers seized documentation, fake seals and digital storage media confirming the facts of illegal activities, cash received from the transaction, jewelry, including gold bars, gilded watches, jewelry, and also an arsenal of firearms. Now the criminal group members were notified that they are suspected of committing a crime under Part 4 of Article 190 of the Criminal Code of Ukraine (fraud).